Over the years, many books and documentaries and t shirts heralding the the wolves of Yellowstone have matriculated through our consciousness. With the benefit of hindsight - and 20 years of meticulous field notes, legal proceedings, and media coverage - Blakeslee blends the narratives of the wolves themselves with the human closest to them, a ranger called Rick that never wrote his own book but spent most of his life observing generations of the packs. The most riveting facet, though, is undoubtedly the story of 0-Six, a female alpha whose rise is a tense saga of primal politics. 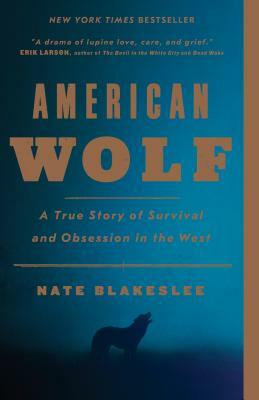 What I find unique about Blakeslee’s story is that there is a concerted effort to avoid attributing human characteristics to animals, leaving a clear and tense narrative of wolves and not the imaginings of the human observer.